Australia Business Innovation & Investment (Provisional) (subclass 188) visa is one of the Australian Business Innovation and Investment Program, which is designed to benefit the country's economy. Visa is issued only on invitation. The visa applicant has to submit his Expression of Interest through SkillSelect initially and on receipt of Invitation can apply for visa. Invest at least AUD5 million in Australia (the Significant Investor stream). The Australian Business Innovation stream is for applicants who want to own and manage a new or existing business in Australia. The Australian Investor stream is for applicants who want to make a designated investment in an Australian state or territory and want to maintain business and investment activity in Australia after the original investment has matured. The Australian Significant Investor stream is for applicants who are willing to invest at least AUD5 million into complying investments in Australia and want to maintain business and investment activity in Australia after the original investment has matured. Applicant’s Expression of Interest should specify the stream he/she is interested in. The EOI should also indicate whether he/she is interested in just one or all states and territories. 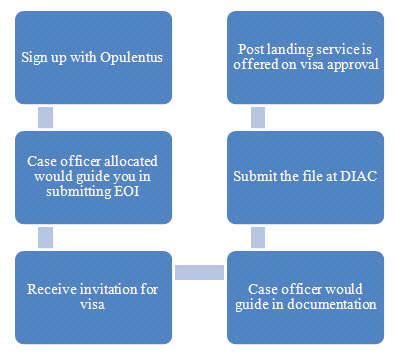 This is provided that the applicant has not paid a second installment of the visa application charge in relation to an application for a Subclass 188 (Business Innovation and Investment (Provisional)) visa.